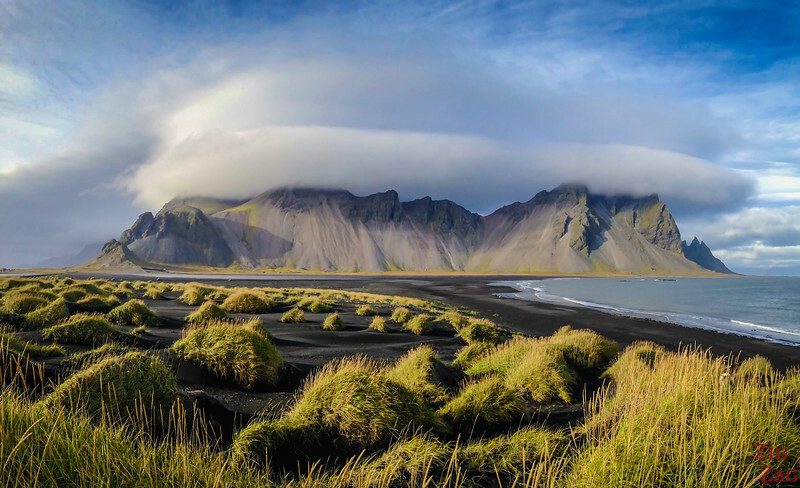 Looking for THE black sand beach in Iceland ? The country is famous for many of its many scenic landscapes. 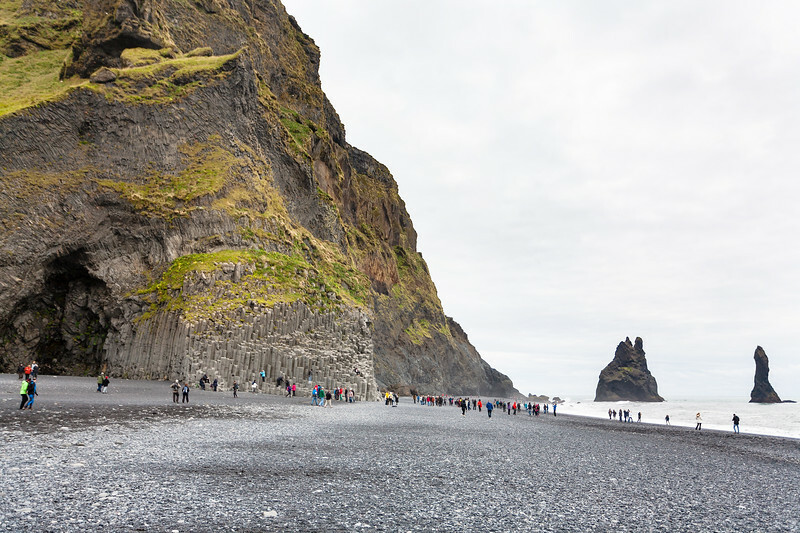 But one of the travelers' favorites are the Icelandic black beaches such as Reynisfjara Beach, Diamond Beach and Stokksnes Beach. Let's discover why in photos. 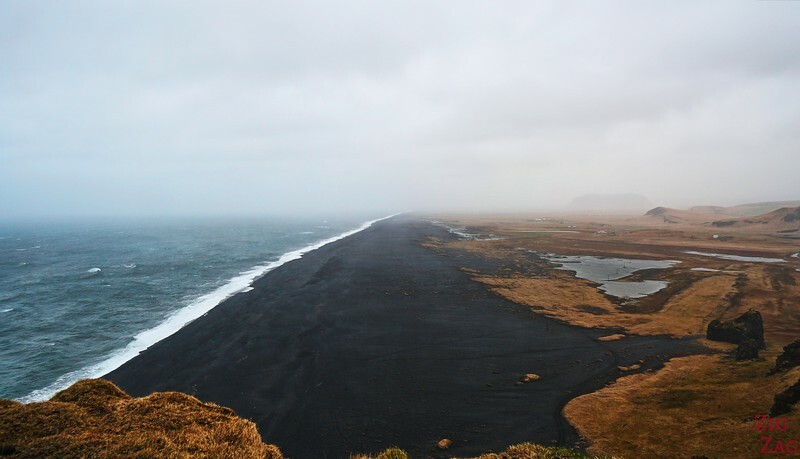 Why is the sand black in Iceland? 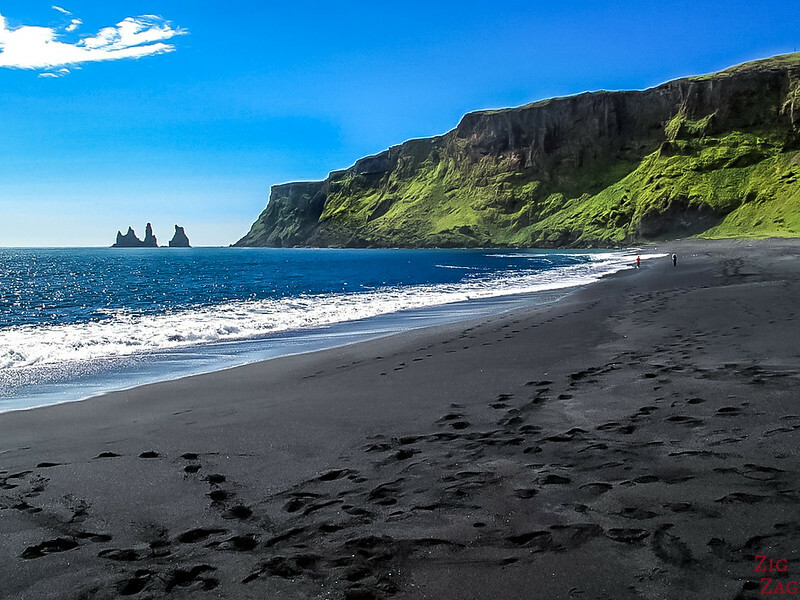 All beaches on the ​South Coast of Iceland are covered with black sand. Well, first of all, Iceland is volcanic. NO kidding? So the black sand and pebbles are tiny fragments from the basalt lava that covers the area. Ahhhhh!!!!! The most famous black sand beaches are in Hawaii. But everywhere there is a volcano near the water, you can find black sand. 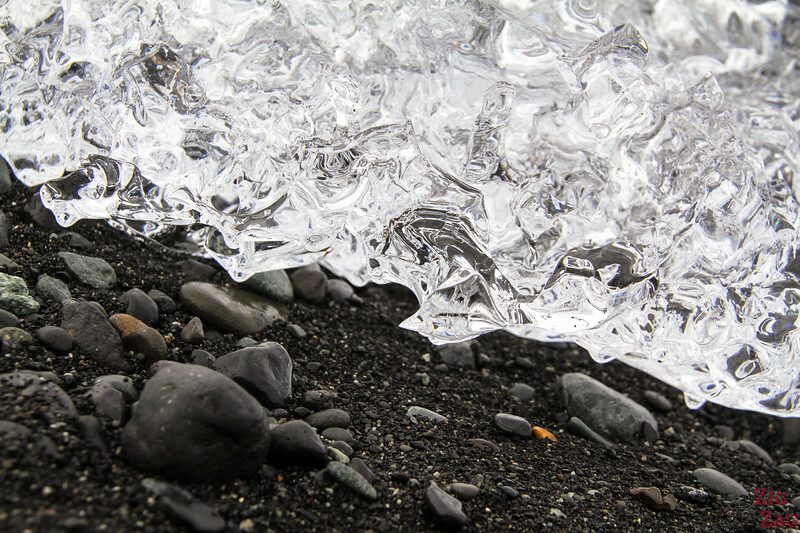 As you can see in the picture of the black sand above, the size of pebbles and sand vary greatly. Since it is an almost instantaneous event when lava enters the sea, a black sand beach can appear overnight. But, since there is no continuous replenishment in black sand, black sand beaches tend to disappear quite fast too. 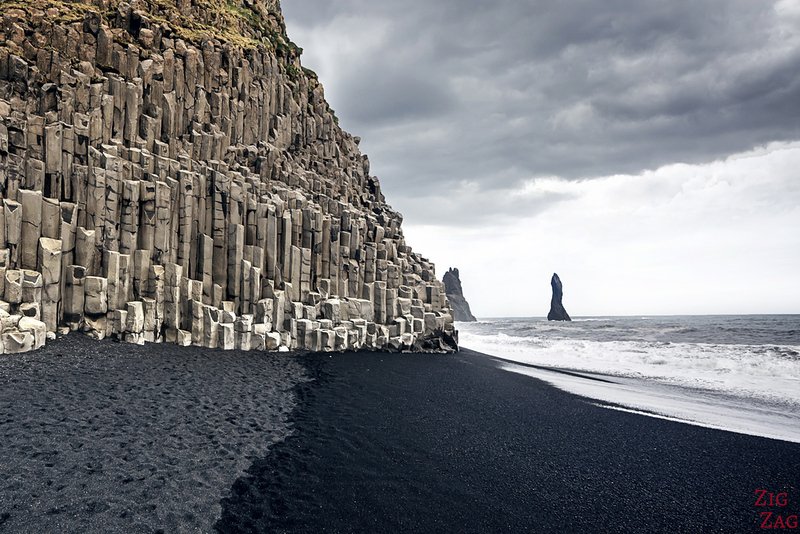 So probably THE most famous black beach in Iceland is Reynisfjara (Reynisfjöru is Icelandic). 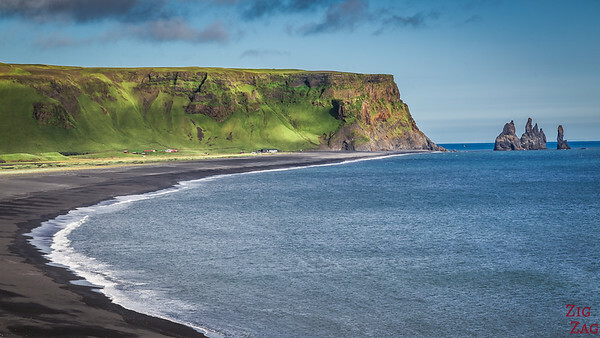 It is often referred to as the Vik's beach but it is actually on the other side of the promontory. Reynisfjara beach is ​quite unique in Iceland, because it is stuck between 2 promontory (East and West), the sea to the South and a lagoon to the North. Quite a scenic combination! And from the sand, you can see here the basalts columns covering the foot of the cliff. Look how dark the sand is when wet by the sea water!!! DANGER - Please Be Careful! The waves are very strong and can surprise you by coming up quite high: they are called sneaker waves. IT can be the case even if the ocean is calm (see this article about some death caused by those waves). Be careful! Our next Iceland black beach is the one near Vik, on the other side of the cliff we saw from Reynisfjar. 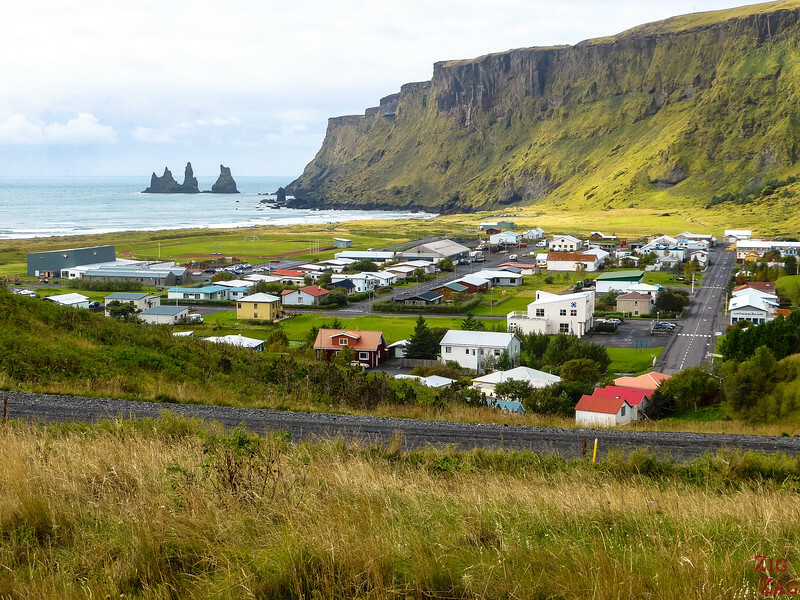 Vik is one of the main town on the South Coast, and a frequent stop for the Iceland Guided tours. This is a long stretch of black sand with the cliff and sea stack at the West Tip. However at high tide, the section near Vik almost disapppears. Let's see it in Photos. This first one was taken from the small church of Vik. You can see the town under, the cliff and the famous sea stacks. And at low tide, from the beach you can enjoy the contrasting colors. 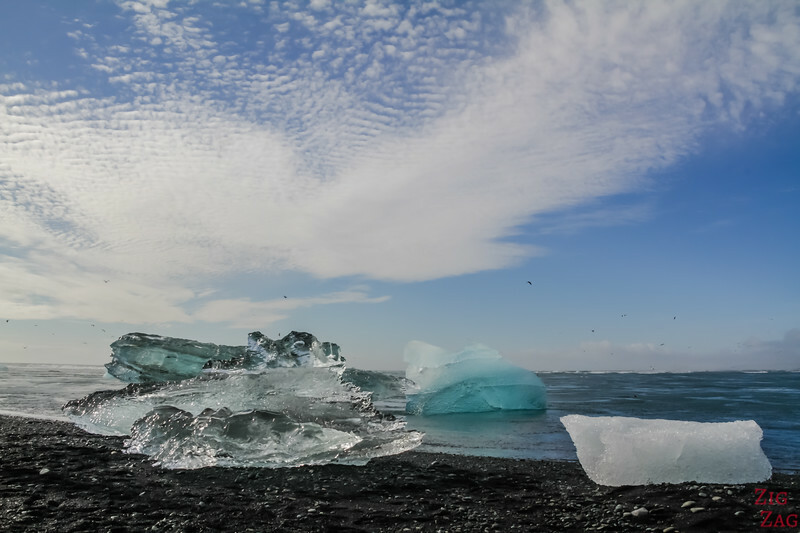 Jokulsarlon is one of the great stop of the Icelandic ring road. Many people stop there to see the lagoon where Icebergs detach from the glacier and float in front of you towards the sea. But not everyone knows, that by crossing the road, you can see a long flat black sand beach which often has icebergs on it. They have been pushed back towards the land by the tide! This is my favorite black sand beach in Iceland. This place is amazing whatever the weather. You can find icebergs of many colors: white, light blue, intense blue or black. 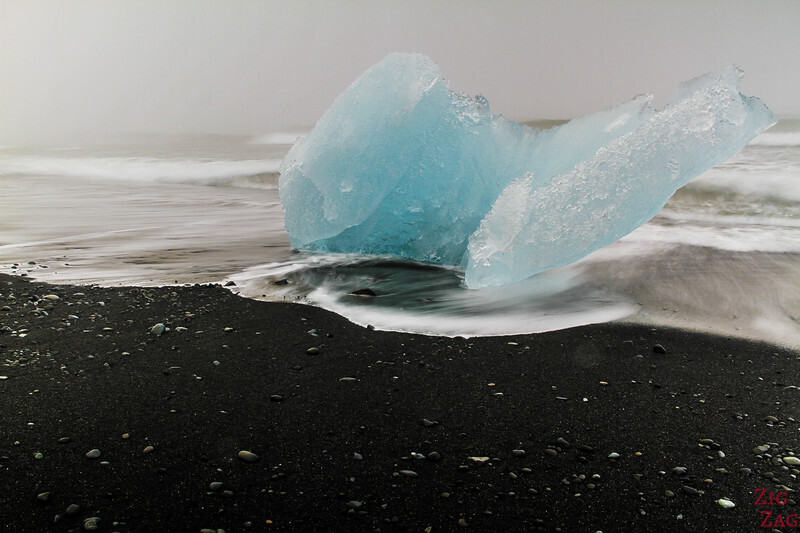 It is a great contrast between the icebergs and the black sand of the beach. You can see more photos of Diamond Beach on my dedicated article. Turn towards the sea before or after the bridge (easier after) and walk to find icebergs on black sand!!!! 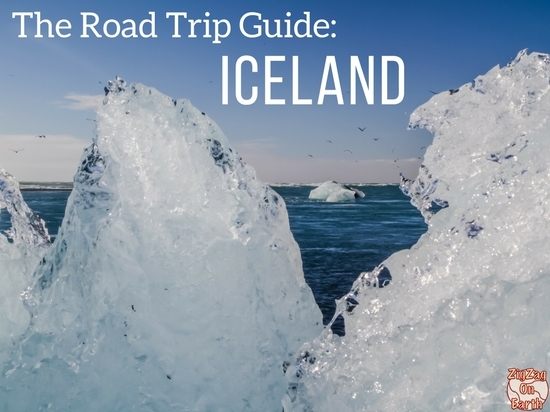 Some day trips from Reykjavik go all the way to Jokulsarlon. It is a long drive but it is worth it! Out of the beaten track the Stokksnes peninsula is famous mostly for photographers. The Batman mountains called Vestrahorn is indeed very photogenic, especially with the small black sand dunes in the foreground. 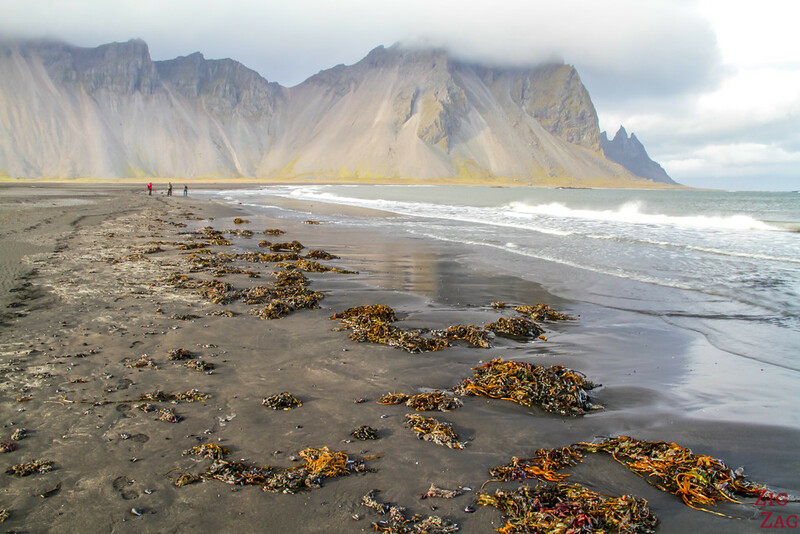 The Stokksnes beach is a quite vast expanse of black sand​ for you to enjoy. You can see more photos of Vestrahorn in my dedicated ﻿article. 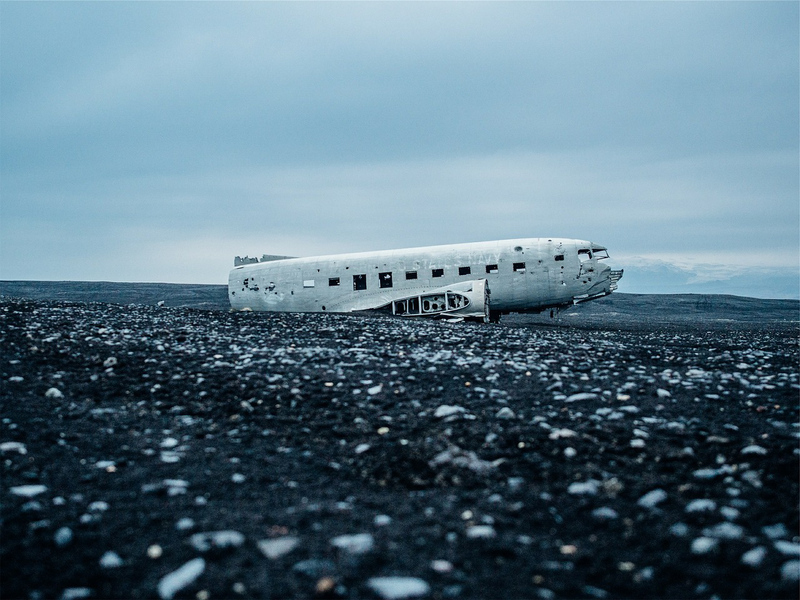 I am not sure why, but this plane wreck abandoned here on the black sand beach in Iceland is also a famous sight. In 1973 this plane from the United Navy was forced to land on a black sand beach called Solheimasandur due to icing. 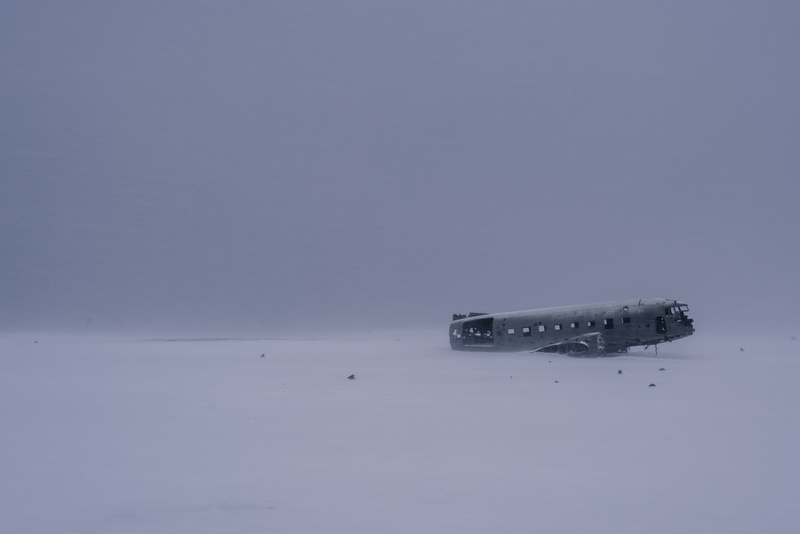 The crew survived but the plane was abandoned there. See: Alone and ghostly on the black sand beach. 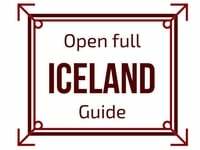 How to get to the plane wreck Iceland? You cannot reach it by car by your self. You have to walk from the main road for quite a while as it is isolated. Coordinates are : 63°27'32.5"N 19°21'52.0"W. See some explanations from Expert ﻿Vagabond. A lot of the coast in South Iceland is covered with black sand. 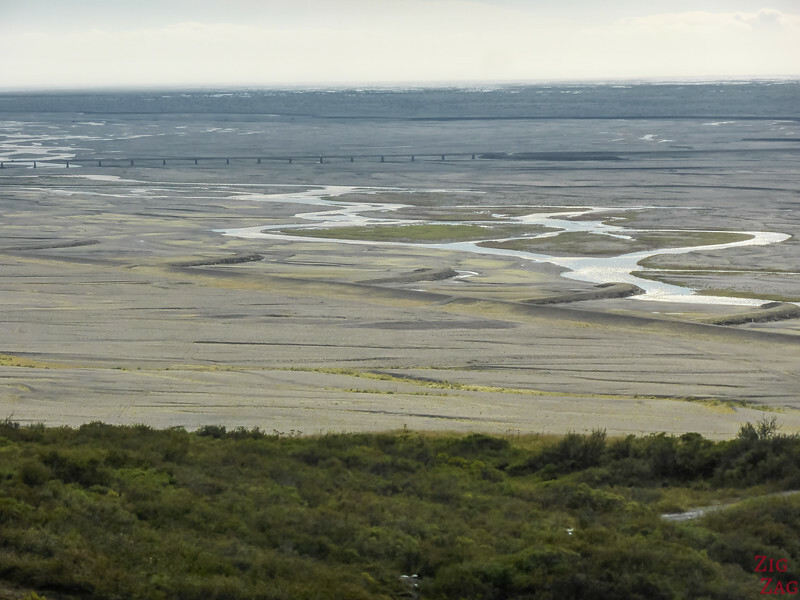 In front of Skaftafell​ national Park and its Glacier Tongue is a wide area with absolutely nothing. Towards the sea the sand is quite dark. In Winter, the black of the sand is quite impressive agains the white of the snow (when there is snow). 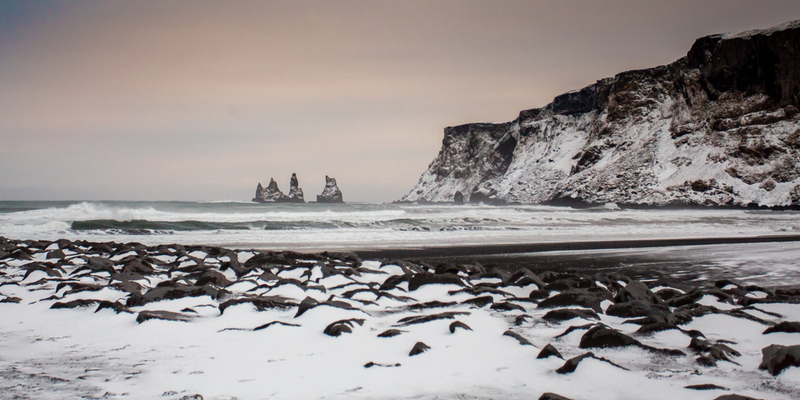 Below is a photo of the Vik Black Sand beach in Winter with the sea stacks in the background. Have you ever seen a black sand beach?